Helen & Chris Road Trip USA: Yellowstone at last! 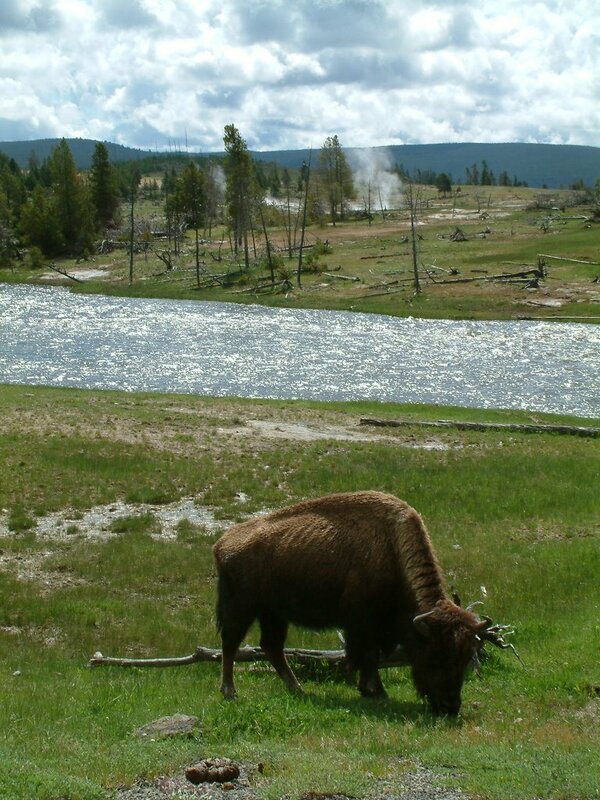 At last - we're in Yellowstone. Somewhere that has always been on our intinery but so long in finally getting here! 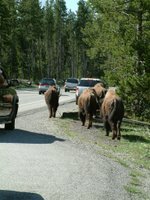 Arrived in the park yesterday morning and within minutes were stuck in a bison-jam! So cool these huge lumbering creatures just wandering down the road (with babies!) seemingly oblivious they were causing so much excitement from the passers-by. Today has been a pretty grim day in terms of weather so it's been difficult getting out doing the things we want to do. We walked into the 'village' by the campsite and this afternoon went out on the bike getting soaked through to do a ranger-led walk around a nearby thermal area - lots of mud pots, fumaroles (steam vents) and hot springs. 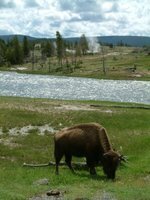 So interesting - the rangers are just so enthusiastic and knowledgeable we've always enjoyed ranger activities at the National parks.